F6V32AA Save more with ultra low-cost, high-capacity HP ink cartridges—print vibrant color and laser-quality black for less money. Get archival output that resists fading, even on plain paper. Enjoy the trusted quality of Original HP cartridges. 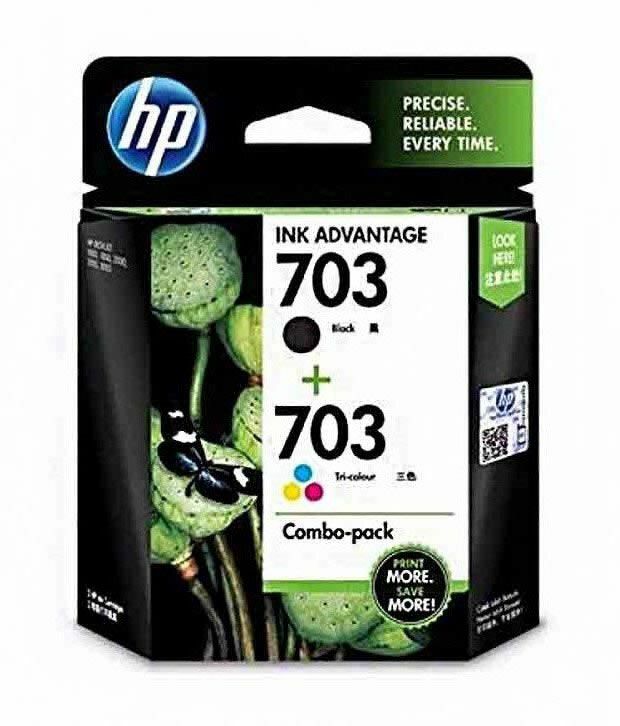 To Recieve updates and possible rewards for Hewlett Packard (HP) HP 703 2-pack Black Tri-color Original Ink Advantage Cartridges please sign in. To Recieve updates and possible rewards for Printer Cartridge, Ink & Toner please sign in.